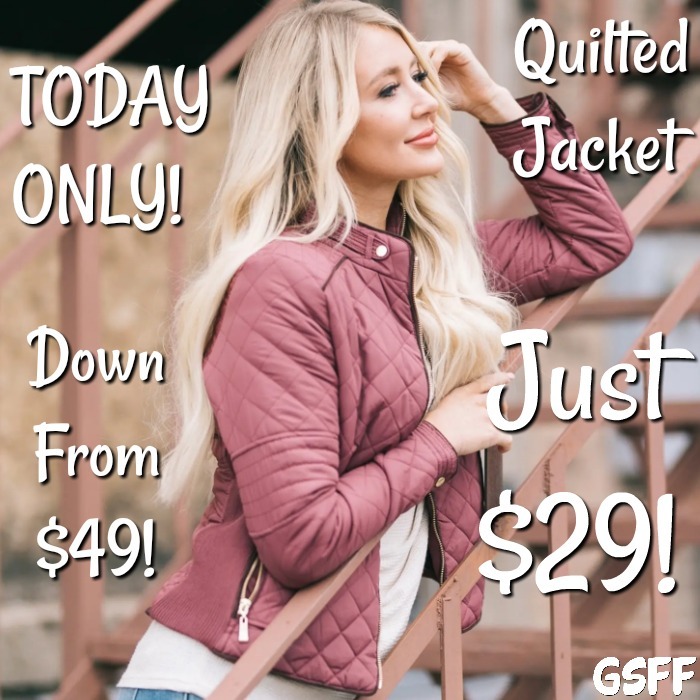 Quilted Puffy Jacket Just $29! Down From $49! PLUS FREE Shipping! You are here: Home / Great Deals / Black Friday Deals / Quilted Puffy Jacket Just $29! Down From $49! PLUS FREE Shipping! Quilted Puffy Jacket Just $29! Down From $49! How adorable is this Quilted Puffy Jacket?! Just $29 down from $49 with FREE shipping! It’s available in 12 different colors and sizes from 0 – 3XL! Still on the lookout for a stylish AND functional jacket for the colder months ahead? We’ve got you covered! Our Quilted Puffy Jacket is available in 7 trendy colors! With fully functional pockets, an easy zipper, and a puffy quilted pattern for comfort and style what more could you want? This jacket literally goes with everything! Trust us when we say you are sure to love the way you look and feel in this jacket!